Apparently, duos are the trend now in Christian music. This year, we've seen new albums from Chris & Conrad, Tal & Acacia, Bebe & Cece Winans, Fiction Family, and The Rubyz, among others. The latest to hop on this bandwagon are friends Chynna Phillips and Vaughan Penn… also known as Chynna & Vaughan. If the name Chynna Phillips rings a bell, don't be surprised. Phillips is the daughter of '60s supergroup The Mamas & The Papas' John and Michelle Phillips; her sister is award-winning actress Mackenzie Phillips; and her husband, William, is one of the infamous acting Baldwin brothers. Chynna had her own success as part of musical pop trio Wilson Phillips, who enjoyed success in the early nineties with several chart-topping hits. 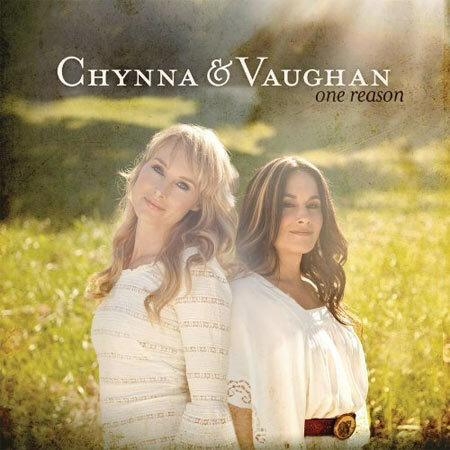 In 2003, Phillips gave her life to Christ, and last year, Phillips joined forces with indie singer-songwriter Vaughan Penn to form Chynna & Vaughan. The music on the debut record definitely recalls an indie folk pop style, similar to Penn's solo work, but a far cry from the happy pop of Wilson Phillips. Although there isn't much uniqueness to the music, the sound is fairly catchy. At first listen, the songs seem to mesh together and nothing really stands out more than a track here and there. However, after a few listens, the album really started to catch my attention. The title track kicks off the album with an airy pop sound with some Americana influences thrown in. It definitely sets the pace and tone for the remainder of the album. "Everyday Miracles," "Now I Know," and the worshipful "My King" are other songs with this same style worth mentioning. Something definitely not typical of a lite pop record is that it waits until around track nine to slow the tempo down for a handful of ballads. "Cuts Straight Through" and "Soften Me" are beautiful examples of this, and give each of the forty-somethings a chance to show off some amazing, stripped down vocal work. Other highlights include "Was It You," the catchiest song on the entire record, and the thought-provoking "Eye For An Eye." The defiant chorus, obviously inspired by Matthew 5:38-42, says "I'm not gonna hate/Even if I ache inside/I'm not gonna hurt someone/Even if I'm justified/I'm not gonna lie/Even if I've been deceived/An eye for an eye/Is not the life I choose to lead." Another lyrical standout is "Garden Promise," which addresses skeptics with "If you're one of those people who looks at the sky and wonders why it's blue/If you're one of those people who wanna have proof/I feel sorry for you…"
Overall, this is a very decent debut album from Phillips and Penn. They take the often stale folk-pop sound and make it catchy and lyrically thoughtful. Although there's nothing particularly unique or inventive, it's still a great record to spin on a lazy afternoon, or for a quiet autumn drive. The album benefits from each member's strong points. For the most part, the music stays in "safe" territory, which is understandable for a debut, but hopefully next time around, they will experiment with some different sounds and change things up a bit.